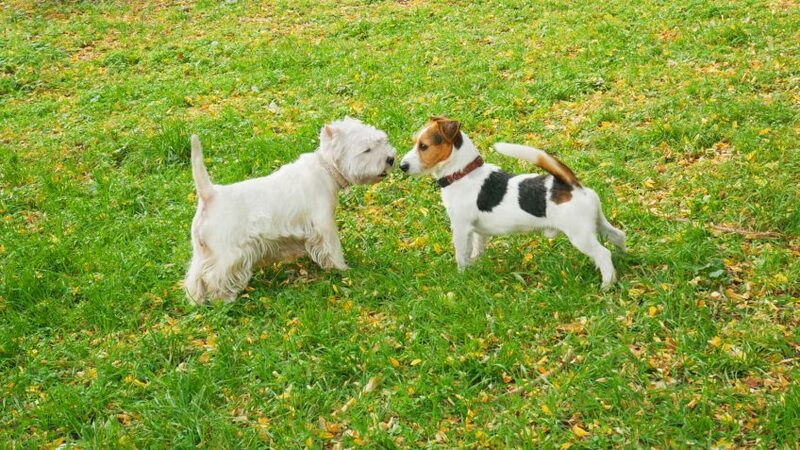 The West Highland white terrier and Jack Russell terrier are among the dog breeds that have an increased risk of developing urothelial carcinoma, a cancer of the urinary tract also known as transitional cell carcinoma. A clinical study launching at the NC State College of Veterinary Medicine is targeting a common and difficult to treat cancer in dogs. The study explores the effectiveness of a new test developed at the CVM for early diagnosis of urothelial carcinoma, a cancer of the urinary tract also known as transitional cell carcinoma. It is the most common form of canine bladder and prostate cancers. The CADET BRAF, the world’s first liquid biopsy to detect cancer in dogs, pinpoints genetic mutations characteristic of UC cells within urine. The non-invasive tool can find cancer early, potentially leading to improved quality of life and increased survival rates. CADET BRAF was developed in the lab of Matthew Breen, CVM professor of genomics and the Oscar J. Fletcher Distinguished Professor of Comparative Oncology Genetics. Breen is conducting the study with CVM colleague Shelly Vaden, professor of internal medicine, and Claire Wiley, a clinician investigator and Ph.D. student in Breen’s lab. The study, funded by the Morris Animal Foundation, aims to pinpoint the length of time from when a low-level mutation is located to when clinical signs are observed. The disease’s early progression characteristics are unknown. UC is difficult to diagnose because its signs mimic other urinary tract diseases, such as kidney stones or infections. Signs of UC include difficulty urinating, bloody urine and accidents around the house. Research has shown that a single mutation in a gene called BRAF is seen in 85 percent of dogs with UC. Presently, diagnosis is typically made through an often costly tissue biopsy, which requires specialized equipment and a sufficient tumor sample size. In a release, Vaden called the CADET BRAF test a potential game changer in how veterinarians diagnose and treat the cancer. The CVM study has three stages, and researchers are asking for the public’s assistance. With the help of the American Kennel Club, researchers will reach out to 27,000 owners of dog breeds that have an increased risk of developing the disease. Those breeds include the beagle, Shetland sheepdog, West Highland white terrier, Scottish terrier, Jack Russell terrier and the American Eskimo dog. If criteria are met, urine samples from 1,095 dogs will be collected by pet owners and sent to the CVM to be analyzed for the second stage. From that group, CADET BRAF will be used to identify dogs shedding low levels of BRAF mutant cells into urine, indicating the cancer’s early presence. 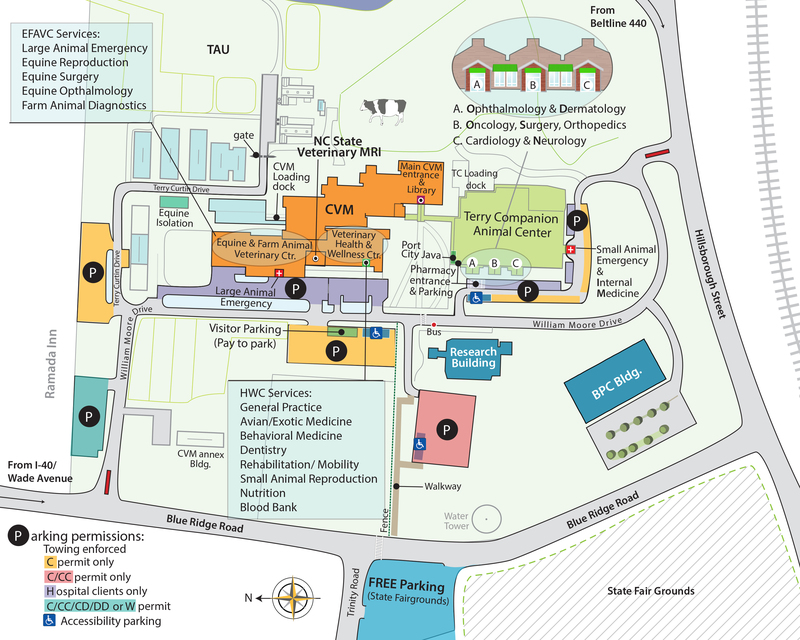 A group of 30 dogs will be invited to the NC State Veterinary Hospital for clinical evaluation, with mutation levels monitored monthly. Dogs will undergo repeated diagnostics, including ultrasounds and biopsies. The study will not cover costs associated with cancer treatment. The CADET BRAF test is offered by Sentinel Biomedical, a comparative health company founded in 2015 by Breen and headquartered at the CVM. It creates innovative cancer detection products and investigates canine cancers sharing characteristics with human cancers in order to develop translational therapies. Breen is internationally recognized for his research into molecular cytogenetics, the study of the structure and function of cells and chromosomes. In 2005, he was a member of the team that decoded the canine genome. Breen is a pioneer in comparative oncology and has been published widely on the subject. In 2016, Breen was among the CVM recipients of inaugural grants for cancer research from the Consortium for Canine Comparative Oncology. Vaden, who first came to the CVM as a resident in 1986, is an internationally recognized expert in canine nephrology and urology. Wiley, whose focus in Breen’s lab is investigating the molecular profile of UC, is earning a Ph.D. in the Department of Comparative Biomedical Sciences. “After more than 20 years in comparative oncology research, I have learned that on the road to new discoveries in cancer research, the answers to unlocking some of nature’s most intriguing puzzles are walking right beside us,” Breen said in a release. For more information on the clinical study and an owner questionnaire, go here.